In our blogpost last week, I described factors which distinguish strength training from two other related activities, weight lifting and lifting weights. 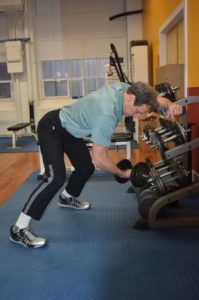 The essential points were: in weightlifting and lifting weights, the primary objective is to increase the amount of weight you lift for one or several repetitions; in strength training, by contrast, the primary objective is to contract your muscles forcefully and then lengthen them completely. In competitive weight lifting, you measure your performance externally, by calculating the amount of weight you are able to lift up one time and comparing that to your competitors. When you are lifting weights while training in a gym, you also measure your performance externally, by calculating the amount of weight you are able to lift up for a few to several repetitions. You judge your progress by the capacity to lifting higher amounts of weight upward for an increasing number of repetitions. In both competitive weightlifting and in non-competitive lifting weights, the supposition is: the more weight you are able to lift upward, the stronger you have become. In my observations of thousands of trainees over many decades, most weightlifters and trainees who lift weights do become stronger, especially in the lifting exercises they perform. However, it is also my observation that many who train in this manner do not increase their strength as much in physical activities other than the specific lifts they are practicing. In addition, to my eye, those who train in this manner do not improve their flexibility nearly as much as they increase their strength. If you are practicing strength training, as opposed to lifting weights, you measure your performance internally, that is, by how forcefully you feel your muscles contract and then by how completely you feel them stretch. Instead of using the heaviest weights you can possibly lift, you use just enough resistance to shorten your muscles powerfully and then lengthen them as far as your brain tells you is safe. Instead of relying upon the amount of resistance you are lifting upward to cause forceful contractions, you use your mind to contract your muscles far more forcefully than is necessary to move a moderate amount of resistance. 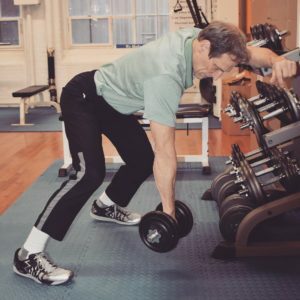 Just as importantly, in every strength training repetition, you lower a weight very slowly, to stretch your target muscles slowly and completely. 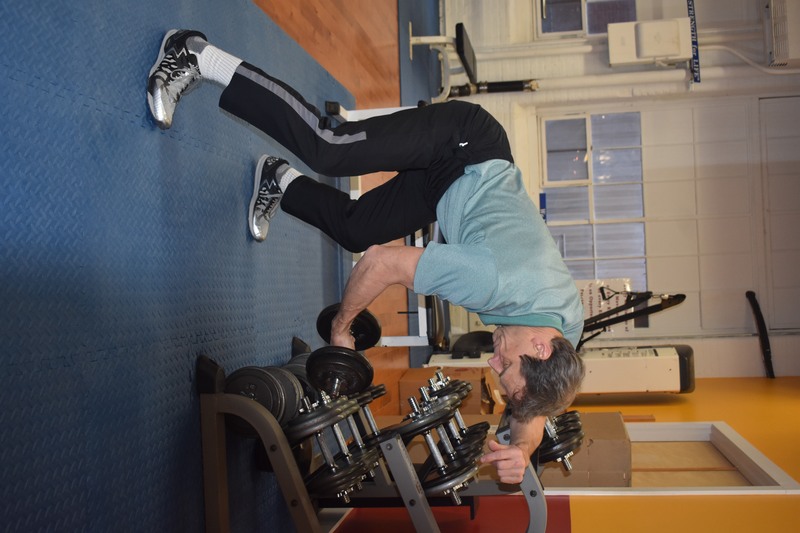 It is my observation and my personal experience that, when you practice strength training in this manner, you not only increase your strength, but also increase your flexibility. You become capable of generating powerful contractions and great lengthening in your muscles. You find as well that you can use this enhanced strength and flexibility in many varied physical activities outside the gym. In response to the blogpost last week, many readers sent emails to me saying it was hard to remember all the points I had made about strength training. Some of people asked for a definition of strength training which they could review quickly, rather than read an entire long article. Therefore, I will conclude this week’s post with a compact but comprehensive definition of strength training. 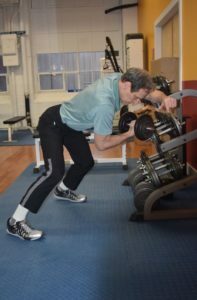 Strength training for lifelong health is an organized regimen of exercises in which an individual alternately contracts and then lengthens targeted muscles against some form of resistance. The purpose of every repetition of every strength training exercise is to increase the capability of a trainee to contract his or her muscles powerfully and extend them fully. Such exercises cause physical and psychomotor changes that are beneficial to health. These changes, including increased muscle size, strength and flexibility, enhance an individual’s capacity to perform all physical activities of life with grace, power, and ease. Or, if even that definition is too long, try this: Every millimeter of movement of every strength training exercise is an opportunity for personal artistic expression!